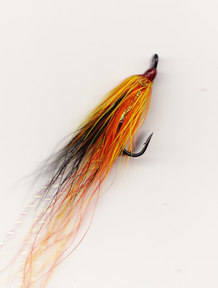 These flies are tied with loch and small river flyfishing in mind. The lightweight doubles are great for fishing on floating lines and single handed 10/11ft wetfly rods, they are not suitable for sunk line big water work. 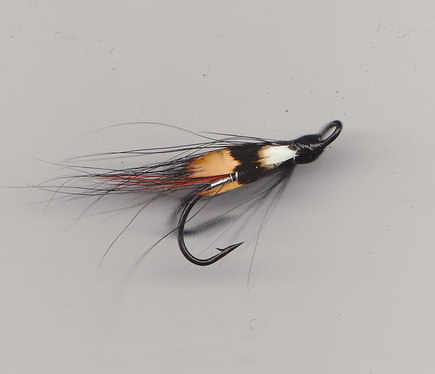 Smaller heavy wire doubles are included, very useful in fast water, fish on the point with a Muddler on the dropper, the Wee Trebles work in low water summer conditions when larger flies fail. Most are pretty simple tyings but non the less effective for that! Single hook flies are listed after the doubles. 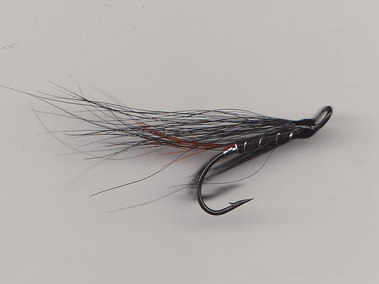 Tied with a highly mobile synthetic wing, try this on fish that have seen everything else. 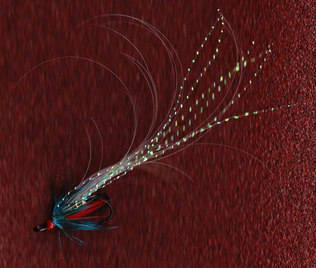 The dresssing style of this fly combined with the light wire hook give the fly a lively action in the water. A big fly is often successful as the light goes. 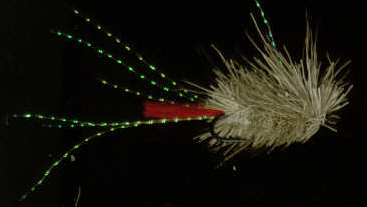 Black with a touch of flash, popular sea trout fly in fresh or saltwater. 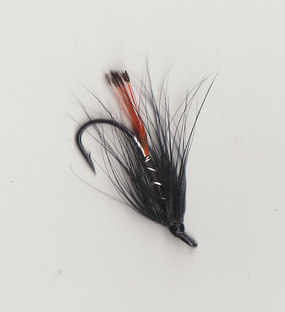 This is a slimline tying of the standard Allys, a far more lively action fly than many overdressed tyings. Put this down the pool when all else fails. Large loud flies will move fish, even if they do not take them it shows you where the fish are, then go down the pool with something smaller. Big flies like this are always worth a cast as the light goes at anytime of the year. For added fish appeal and angler confidence you can not beat these! 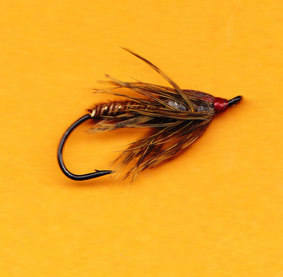 How many times have you heard of Salmon and Sea Trout been tempted by small trout sized flies? 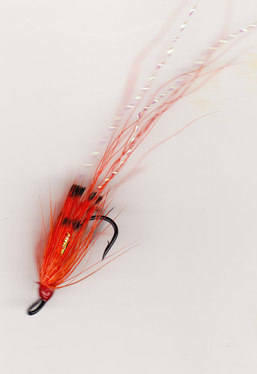 There are occasions when the larger patterns fail on loch or river, try these. 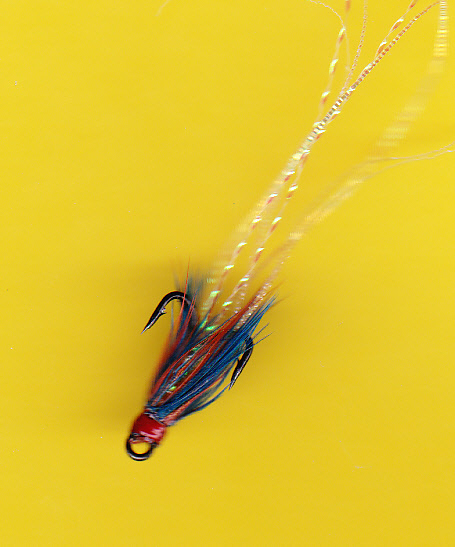 This is a hackled version of the world famous Teeny Nymph. Leaded fish this pattern when conventional across and downstream tactics fail. Fish on a short line and dead drift over salmon lies is the method. 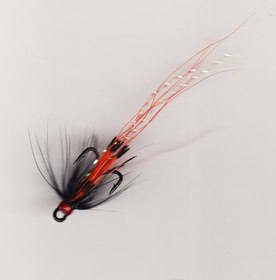 Just about the best selling wetfly of all time in the Highlands & Islands? This is a really big fly, fish do take it but it's main purpose in life is to bring fish up, use it in a big wave. On a large wave tossed loch fish location is often the key to success. 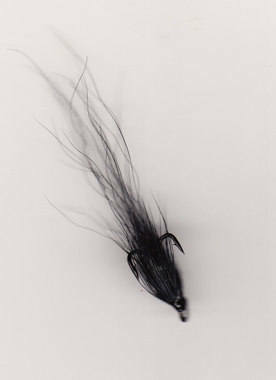 Use this on the top dropper with something small on the point, a two fly 'Hebridean Cast'. If the fish splash at the Spiny Norman or if you are fishing in light wind conditions try this. These are all tied on small outpoint trebles #14. 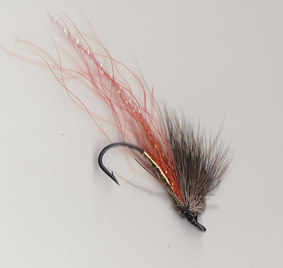 This size of fly is especially good in low water but worth a go at anytime when the fish have seen all the larger flies. the wake of the Muddler will bring the fish up that take it or the wee treble. As simple as they come, deadly in clear water. Just a touch of colour, try this on a clearing river. 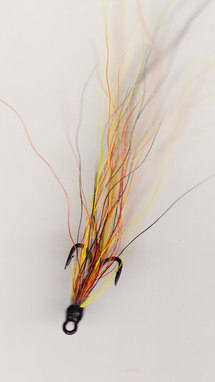 Try this lively actioned lure in pools and slacks. Tied long and thin on small outpoint trebles, just the thing for low water. 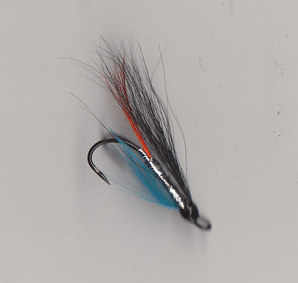 This tying has a good clean entry which is ideal for calm water and still pools.